Social media is a key component of any inbound marketing strategy. Knowing and understanding your buyer personas will help you decide which platforms you should be using. One of the platforms every B2B business should consider is Google+. While many B2B marketers have found LinkedIn and Twitter to be where they get the best ROI for their social media efforts, Google+ can also help drive engagement with your prospects. The infographic below from online journalist Megan M. Ritter, explains how. Google+ allows you to share different messages with segmented groups. This feature is called Circles. Circles allow you to organize your contacts into groups. Once they are set up, you can share targeted information with each one. There are endless possibilities. You can segment by where the prospect is in the buyer’s journey, their industry, location…however you would like. Sharing targeted and relevant information is easy with Google+ and will drive increased engagement. 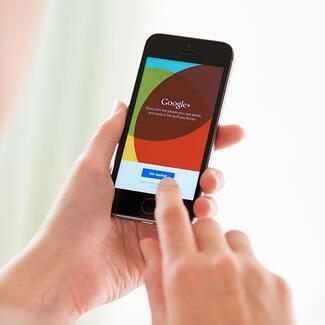 In addition to providing easy audience segmentation, Google+ may help your search rankings. Google search and Google+ are integrated. If you’re active on Google+, your content may appear closer to the top in search rankings. Facebook, Twitter and LinkedIn content is also indexed for search but Google+ seems to get a little favoritism. Google+ is one of the top five social media platforms with more than 300 million active monthly users. That’s a lot of possible prospects! If you haven’t considered Google+ for your B2B social media efforts, it’s time to check it out.